Do you want to know how to get to the jongno-gu (jongno-3-ga) station? There are many ways you can get to jongno-gu (jongno-3-ga) station such as public transportation (bus, subway / metro), taxi and Blacklink limo/transfer/shuttle service. Don't sweat outside waiting for other transportation with your luggage. Make a round trip reservation with Blacklink as you plan for your trip. It is easy, convenient and available 24/7. Then, the assigned Blacklink driver will greet you at the arrival and will drive you to the jongno-gu (jongno-3-ga) station. You can use Blacklink for not only hotel but also Gimpo Airport (GMP), Myeongdong, Jongno-gu, guesthouse, resort, airbnb, lodging and anywhere you want to go in Korea. Check out Blacklink customer review posted below. Jongno ("Bell Street") is one of the oldest major east-west thoroughfares in central Seoul, South Korea, connecting Sejongno to Dongdaemun. 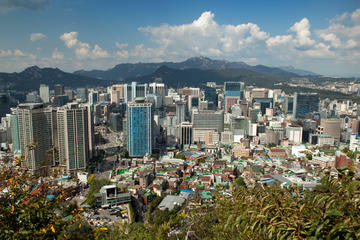 It remains one of Seoul's most important financial and cultural areas. Many important landmarks are located along its length, including the Bigak pavilion at Sejongno, the Bosingak belfry (hence the street's name), Tapgol Park (Pagoda Park), the Jongmyo royal ancestral shrine, and the aforementioned Dongdaemun (Great East Gate). Seoul Subway Line 1 passes under Jongno. The western end of Jongno is serviced by Gwanghwamun Station (Seoul Subway Line 5), and Jongno 3-ga Station is serviced by Subway Lines 1, 3, and 5. 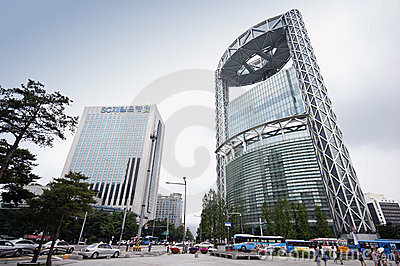 Because of a large number of shops, stores and groceries along the area, the word "Jongno" is often used in the Korean language to express "Town Square."